Federal Bait and Switch — the Long Trail of Abuses — by Todd Macfarlane | RANGEfire! First published in Range magazine. In the spirit of both dystopian fiction and McCrae’s discussion with Call, it’s fair to say that the ranchers, miners, and loggers—beneficial, productive resource users—who were enticed by the United States government to venture into that “damn wilderness” and actually accomplished what Gus McCrae described in settling the West—have ultimately experienced a big bait and switch. Over the course of a century, through a series of homesteading and mining acts, beginning with the original Homestead Act of 1862, up to and including the Stock-raising Homestead Act of 1916, the federal government actively encouraged settlement and beneficial use of resources in the West. The Stock-raising Homestead Act enlarged homestead sizes to as much as 640 acres—a full section—except in areas that could be irrigated. But in the arid West, even with ample stock water, 640 acres typically lacked sufficient stock-carrying capacity to support a family. 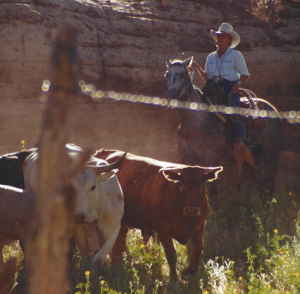 Consequently, ranchers were forced to utilize forage on adjoining, “unsettled” federal lands to graze their livestock. The Taylor Grazing Act of 1934 was intended to create grazing allotments on such lands so ranchers could legally acquire property rights and interests in the split estate forage and water, and use of timber for improvements on those grazing allotments. But in 1976 a big switch occurred with passage of the Federal Lands Policy Management Act (FLPMA). American politics were a complete mess at the time. The Watergate scandal led to the threatened impeachment and ultimate resignation of President Richard Nixon in 1974, who was followed in office by Gerald Ford, who was quickly followed by Jimmy Carter. In reaction to the political disasters of Nixon/Ford as the so-called ‘conservatives,’ Congress ushered in a firestorm of liberal policies, including what became the modern environmental movement. Ongoing assaults reach into today’s headlines with reports about the federal government’s evolving war on western ranchers. Among these is a concerted effort to crush opposing voices and make examples out of anyone who rebels against its tyranny. This heavy-handed tyranny is most dramatically illustrated in the cases of Dwight and Steven Hammond, the Bundy family, and the political assassination of LaVoy Finicum. The era of open conflict and endless litigation arguably started years ago with the Wayne Hage family in central Nevada, [culminating in Hage v. United States, 1991] , and continued for over four decades. 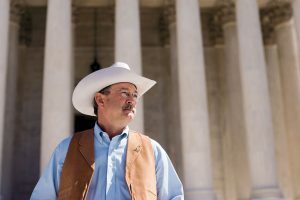 The Hages won a major victory in May 2013 when U.S. District Judge Robert Clive Jones issued a 104-page opinion detailing what he called the federal government’s vindictive actions against the ranching family. The Hages claimed that federal officials were pursuing a concerted campaign of harassment and intimidation in an effort to drive them out of business. They suspected the government wanted their water rights. Judge Jones wrote: “The government’s actions over the past two decades shocks the conscience of the court.” In a separate but related case in the U.S. Court of Federal Claims, Judge Loren A. Smith awarded the Hages $14 million in damages and attorney fees. Unfortunately, federal appellate courts overturned much of that award. 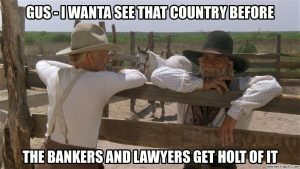 Worse yet, after an endless 40-year marathon of litigation, having expended all their resources attempting to stand-up for themselves, in the end, as recently reported, the Hage Ranch is on the brink of foreclosure. 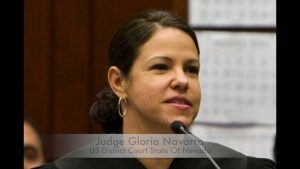 Although federal judges are bound by law to be unbiased, some of them (like judges Gloria Navarro in Las Vegas, Nev., and Anna Brown in Portland, Ore.) have demonstrated clear biases in favor of the federal government. Other federal judges have been more even-handed. When Judge Michael Hogan handed down Dwight and Steve Hammonds’ original sentences, he said: “I am not going to apply the mandatory minimum because, to me, to do so under the Eighth Amendment would result in a sentence which is grossly disproportionate to the severity of the offenses here…. It would not meet any idea I have of justice, proportionality…but it would be a sentence which would shock the conscience to me.” Nevertheless, on appeal the 9th Circuit Court of Appeals insisted on a harsher sentence. 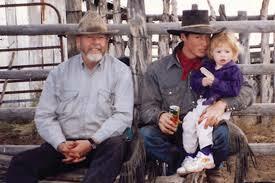 The case of Frank Robbins against the BLM in Wyoming garnered relatively little media attention. In that case the BLM had engaged in a decade-long harassment, intimidation, and retaliation campaign against Robbins and his ranching operation. After years of bullying and harassment, Robbins was finally forced to embrace what Thomas Jefferson described as “the right [and] the duty,” to push back, and filed a lawsuit against the federal government, seeking to bring an end to its reign of terror. In a surprising dissenting opinion authored by Justice Ruth Bader Ginsburg, both she and Justice Stevens took serious exception with the majority, and sought to stand up for Frank Robbins. 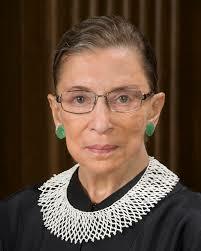 According to Ginsburg, “This is no ordinary case of ‘hard bargaining,’ or [mere] bureaucratic arrogance,” she said. “Robbins charged ‘vindictive action’ to extract property from him without paying a fair price.” When, the BLM’s efforts to get something for nothing didn’t work, the BLM was driven by an illegitimate desire to “get” Robbins instead. Ginsburg then asked a very important rhetorical question: “[Should] the Fifth Amendment provide an effective check on federal officers who abuse their regulatory powers by harassing and punishing property owners who refuse to surrender their property to the United States without fair compensation?” In her words, “The answer should be a resounding “YES[! ]” (Emphasis added). The record speaks for itself. The harassment and intimidation tactics the federal agents employed to harass Frank Robbins were exactly the same tactics used with the Hammonds, the Hages, the Bundys, and Quinn Griffin, and Mary Bullock. And the list goes on. Instead of convicting Cliven Bundy and company of conspiracy (or anything else for that matter), the recent trials found the federal government guilty of flagrant misconduct—much worse than anything the Bundys were accused of. Federal land-management agencies have engaged in coordinated and abusive land-use policies and regulations designed to drive productive beneficial land and resource users off the land. Ongoing, concerted and systematic efforts to cripple local, rural economies throughout the western states are part of this assault. These policies include wrongfully taking or claiming private water rights and resources without due process or just compensation; closing public access to large regions of western rangeland currently under federal management; systematic disregard for local customs, cultures, and heritage of areas and populations impacted by policy decisions; and increasing heavy-handedness in the implementation and application of all these policies. And let us not forget the long history of government collusion with environmental special interests, including but not limited to The Nature Conservancy, Grand Canyon Trust, Western Watersheds Project, Southern Utah Wilderness Alliance, Center for Biological Diversity, etc. The federal government’s long trail of abuses also includes coordinated misinformation campaigns. The concocted myth that Cliven Bundy “owes over a million dollars in grazing fees” was so effective as to be taken as gospel, even by many conservatives and other ranchers. Other epic and indelible lies included the myths that the Malheur occupiers did millions of dollars worth of damage to the refuge, and that LaVoy Finicum was “reaching for a gun.” Media reports have perpetuated the falsehood that Dwight and Steven Hammond engaged in domestic arson terrorism against the federal government. And officials within the government have claimed that patriot protesters, like those who showed up to defend the Bundy Ranch, or to peacefully protest in support of the Hammonds, are domestic terrorists. The Record Speaks for Itself. What has occurred over the past 40 years will rival anything King George III did to the American colonists in the 1760s and ’70s. 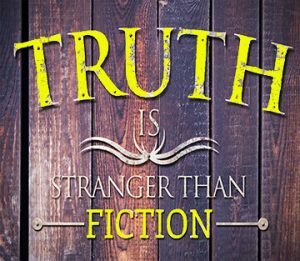 Dystopian fiction has nothing on the federal government’s war on the West following the big bait and switch. Just as the words of Gus McCrae were prophetic about fighting the Indians in Montana, so would they be prophetic with respect to the relationship between the federal government and the good, hearty souls who sought to tame that “damn wilderness,” build a little cabin, and get a fire goin’ in the fireplace, so that the federal government could gather a herd, so to speak, move on in, and kick them out. Most east coast citizens have no clue of the abuses by the federal government. I don’t claim to know all the issues in depth, but do know that the people who work the land either private or BLM land know best how to be stewards of it. The people who were invited to settle, work, develop the land are not the enemy of the people. They are the people!